The court can alter a charge only with a condition that the accused should be given the opportunity to make out his defence. The court has ample power to amend or alter a charge only with a condition that it should give full opportunity to the accused to make out his defence. 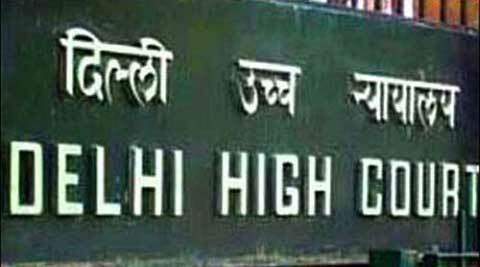 The Delhi High Court has held that lower courts have “comprehensive” power to alter or add charges in a criminal case at any stage of trial prior to the pronouncement of judgement. “The court has ample power to amend or alter a charge only with a condition that it should give full opportunity to the accused to make out his defence,” a bench of justices Kailash Gambhir and Indermeet Kaur said. Referring to a provision of Code of Criminal Procedure, it said, “This section (216) invests comprehensive power in the court to remedy the defects in the framing or non-framing of a charge, whether discovered at the initial stage of the trial or at any subsequent stage prior to judgement. remedied under this section and an appropriate charge may be framed,” the bench said. The observations came in a verdict on a set of appeals filed against convictions under sections 304B (dowry death) and 498A (subjecting a woman to cruelty) of the IPC in a case. It was alleged that Yash Jain, along with his parents Veena Jain and Subhash Jain and brother-in-law Prashant Jain, had caused death of his 28-year-old wife Shalu on January 23, 1998, within two-and-half years of the marriage for dowry. The lower court had awarded life imprisonment to Yash and varying jail terms to the other convicts. Ordering a de-novo trial of the accused by adding fresh and harsher charge of murder under Section 302 of the IPC, the high court came down heavily on the trial judge for not amending the charges despite having prima facie evidence in the case. “Even after being empowered with such vast power, we fail to comprehend why such an injudicious approach was adopted by the learned trial court. “The learned trial court had perhaps forgotten that fair and proper trial is at the core of our judicial system to reach the ultimate goal of dispensation of justice between the parties. It is the first and foremost duty of every court to see that neither any innocent man is punished nor any guilty person escapes…,” it said. The court, in its 20-page judgement, said, “During the course of the trial, the presiding judge is expected to work objectively and in a judicious manner. A watchful and diligent trial judge, before whom every piece of evidence is placed by the prosecution and the defence, has to be a protector of the rights of both the victims and the accused and nothing should escape his sight which can unduly benefit either of them. “While appreciating the evidence on record, the court is expected to be fully cautious and ensure that the determinative process is not sub-served. For truly attaining the objective of a fair trial, the court should leave no stone unturned to do justice and protect the interest of the society as well,” the bench said. It asked the lower court to try the accused afresh in the case after adding murder charge against them. “We find this to be a fit case to be remanded back to the trial court for framing an additional charge under Section 302/34 of IPC against the accused persons and it is only after the trial on additional charge, this court will be in a position to appreciate the contentions raised by both the sides whether the case in hand was a case of accidental death or unnatural death or of culpable homicide,” it said.